The TakeAway: Our friend and colleague Bob Massie announced his candidacy today to represent Massachusetts in the U.S. Senate—an extension of his lifetime commitment to service. 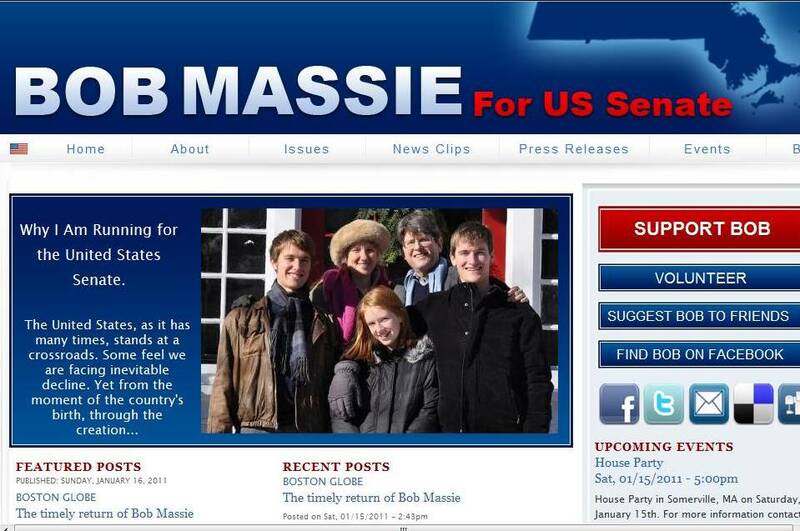 Bob Massie, co-founder of The Murninghan Post and publisher emeritus, today announced his candidacy for the U.S. Senate in Massachusetts. While we intend to maintain the highest standards of journalistic decorum, we’re thrilled to pieces. We’ve known Bob for more than 25 years, and can’t think of anyone better suited to represent us – all of us, whatever stripe or size – in the nation’s capital. As you can tell from recent posts, what happens in politics with a big or little ‘P’ affects just about every aspect of sustainable prosperity and justice. We’re all in this together, whatever path we take to make a difference. An article about Bob’s decision appears in tomorrow (Sunday’s) Boston Globe, titled “The timely return of Bob Massie”, written by editorial page editor Renée Loth. It’s already online (and, of course, not an endorsement). 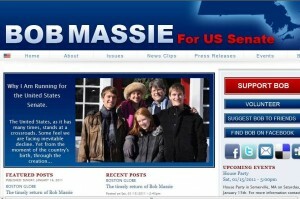 “Remember Bob Massie?” it begins. “The 1994 candidate for lieutenant governor doesn’t think so, and he’d like to reintroduce himself. “I’ve been away a long time,’’ he said in an interview. And it was a trying time: a worsening of hepatitis C associated with his hemophilia; painful medical treatments and a more painful divorce; a seven-year wait for a liver transplant, languishing on a Somerville couch, hating the winters. … But today, at 54, Massie is happily remarried, has the liver of a much younger person, and says he is in better shape physically than he’s ever been. His hepatitis viral load is essentially zero. Bob’s declaring his candidacy early because running for office is a grueling challenge, particularly since the incumbent, Scott Brown, has been called the most popular politician in the Bay State. Brown, a Republican who served terms in both the Massachusetts House of Representatives and Senate, secured an upset victory in the special election held last January to fill the late Sen. Edward M. Kennedy’s seat. He’s since become a star, although the Boston Herald reported today that he considers himself “the underdog”. Kennedy’s widow Vicki announced earlier this week that she would not be a candidate, which means the field of prospective nominees will get crowded, fast. But those of us who know Bob know that there’s a lot more to his story. Back in 2002, the Harvard Business School Alumni Bulletin asked this question: “Will the real Robert Kinloch Massie (DBA ’89) please stand up?” For one thing, he’s a serial entrepreneur. Bob was the first executive director of Ceres, the co-founder of the Global Reporting Initiative, and a founder of the Investor Network on Climate Risk. He’s also a disciplined thinker, a renowned author and speaker on sustainability and social justice issues. Since his liver transplant surgery 18 months ago, he’s continued to advocate for corporate and investor accountability, along with a casino-free Massachusetts. And be a loving father and husband to daughter Katie, sons Sam and John, and wife Anne. Amen to that, Bob. And thanks for daring to make a difference. This entry was posted in Notable People, Politics, Public Policy and tagged Bob Massie, Ceres, Edward M. Kennedy, Global Reporting Initiative (GRI), Harvard Business School, hemophilia, hepatitis C, HIV-AIDS, Investor Network for Climate Risk (INCR), liver transplant, Massachusetts, Renée Loth, Scott Brown, Somerville, U.S. Senate, Vicki Kennedy. Bookmark the permalink. Marcy, thank you. As a resident of Boston and MA, please let me know how I can help. Bob, you are inspiring me. I am working on a blog post from the point of view of a single mom, and how my sustainability agenda grew from my own personal experience in Massachusetts. My eyes woke to a very different possibility of life, when one day at Children’s Hospital, a resident in the Department of Behavioral Medicine where I was working as a contractor asked me to lunch. Her place of residence was Sweden, where she was a single mom. I never forgot this lunch during one of MA worst recessions as jobs declined due to the disappearance of Digital Equipment Corporation and all that implied. At lunch I was told, my experience could not be replicated in Sweden, where divorce laws and health laws assure the sanity of support for one’s health and livelihood. Yesterday, I went to visit a distressed single mom with 4 children in full-time residence with her. Her ex, who has escaped child support laws was put straight a year or two ago. But this year he found a glitch. He controls the budget for his job as an administrator of a private school. He reduced his child support requirement and obligation to give the kids health insurance by cutting back to a 4 day week. In this economy, when someone who is not a custodial father cuts back his hours to reduce benefits —and child support. I have to question how this state can view itself ethical. Yet to me this is not as much an issue of state and law, as much an issue of an societal ill in Massachusetts or a system that is seriously broken. I have my own personal gripe right now with the MA department of revenue, where I am being accused of working in this state, when I was in residence and did my work in the State of Washington during the time in question. I was called by a worker and told she had to much work and I had to get all the paperwork to her and letters setting the record straight because she had too much work. That was hard for me to hear as a single mom, a self-employed person struggling through a difficult economy and more. Professionals who are credentialed have to apply for volunteer jobs at Harvard Medical School associated hospitals, get references and do the job that is unpaid, when staffing can not be budgeted for libraries and educational programs because the credentialed experts time cannot be allocated and covered with insurance monies or research grants. As a woman who is not disabled and suffers a chronic illness, who can’t get the right care she needs after 20 years of no diagnosis from the medical community, I do my part and have as both a parent, an unpaid caregiver, worker and consulting professional. I have known discrimination in this state for employment because MIT and Harvard are not on my resume. I am continuously asked to volunteer my time and my skill to public agencies and non profits in this State on how to get grants and develop sustainable and CSR metrics. I don’t do that. I am a given and generous person and where my professional status and education qualify me for work, I only work for a wage. There is much more that I could write about, because this state and the city of Boston need change. I am a professional change agent as a worker and as a person who wants to believe in our political process, as a volunteer I endorse your campaign and stand behind you and will help as I can. Please let me know as a volunteer, how I can help your campaign.